You can allow data entry in some cells but protect all other cells in a worksheet from changes. 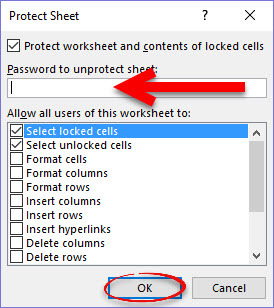 This way, when you share the worksheet, users can only type in and edit the cells that you have not protected. This process also works in Excel 2013 & 2010. Step 1:Open your Excel spreadsheet. 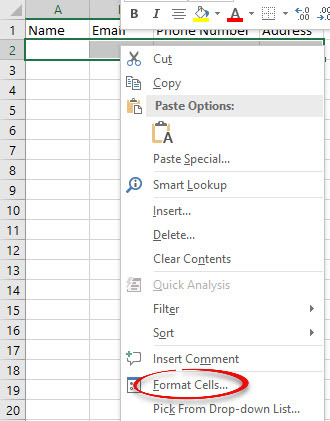 Step 2:Select the cells that will allow data entry. This is where your users will enter their information. Step 4:Click the Protection tab. Remove the check in front of Locked and click OK. 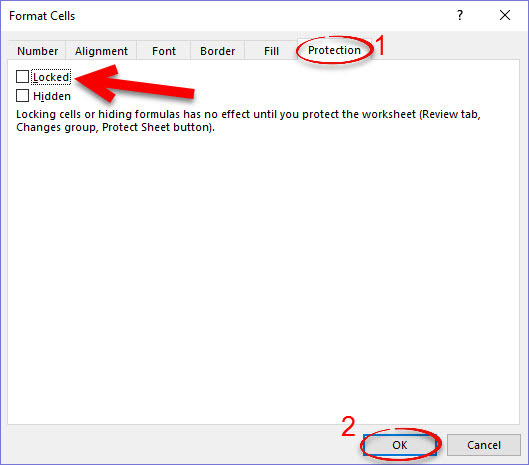 Step 5:Select the Review tab and choose Protect Sheet from the Changes group. Step 6:Enter a password if you would like one. Make sure you are able to remember it, as there is no way to find it again. Check what you will allow the user to do to the worksheet, then click OK. Step 7:Save the file. Users will only be able to edit the cells that you have unlocked.